StreetSense Safety and Security Inc. were formed to provide Reality Based Personal Safety & Self Defense training to the public, corporate clients and for law enforcement and military personnel. We are veteran Peace Officers with over 4 decades of experience working in maximum security facilities as Emergency Response Team and Tactical Team members. Our years of working closely with violent offenders have provided us with a pretty unique outlook on how and why crime and predatory behaviour occur. We teach our students the Personal Safety skills they need to be able to reduce their profile as a potential victim of crime or violence through the use of Pro-active Personal Safety Measures. These vital skill sets allow students to learn to identify, assess and mitigate potential risks to their safety long before the need for Self Defense occurs. We use case studies, and Reality Based Training to provide students with the opportunity to safely experience the psychological, emotional and physical aspects of crime and violence and use all of their skills to survive. At StreetSense our philosophy on combat has never changed. We teach our students to use Kinetic Linking, Vital Point Striking and a set of simple, effective and combat proven Self Defense tools to quickly incapacitate an attacker and allow them to escape. 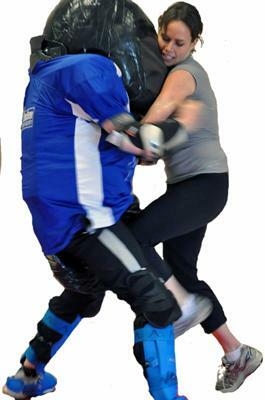 We use Adrenal Stress Conditioning and Padded Assailant training to allow students to experience what really happens during a violent assault and that they can defend themselves successfully and escape. 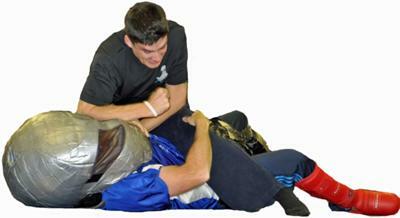 Our services range from Personal Safety seminars, Basic Self Defense Programs, Padded Assailant Training, Restraint/Control/Handcuffing, HECPO (Hand to Hand), Team Building, De-escalation and Anger Management, Security Officer Training, Visit us online for detailed information on our company, our programs and commitment to customer service.